So you're hosting a party and you don't have a second to spend combing magazines, local shops or the Internet searching for direction? OR maybe your brain just doesn't work that way. What you're craving is a party kick-start and have we got the perfect solution for you! 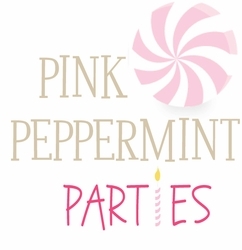 Get the creative sugar rush you need from Pink Peppermint Parties. No matter the occasion, we can help by building a tailor-made, sugar coated Party Plan just for you. Your Party Plan will include 8 or more photos of ideas, inspirations and items complete with links to buy. You simply provide us with the delicious details (party type, venue, scoop on the guest(s) of honor and other pertinent info) by leaving it in the comments section at checkout. If we need seconds, we'll email you a basic questionnaire. Once you've received your Party Plan, print it and take it to your butcher, baker and birthday candle maker to instantly convey the vision for your event. We estimate you will receive your Just A Taste Party Plan via email in ten business days or less from the time we receive your details. Doesn't get much sweeter than that!